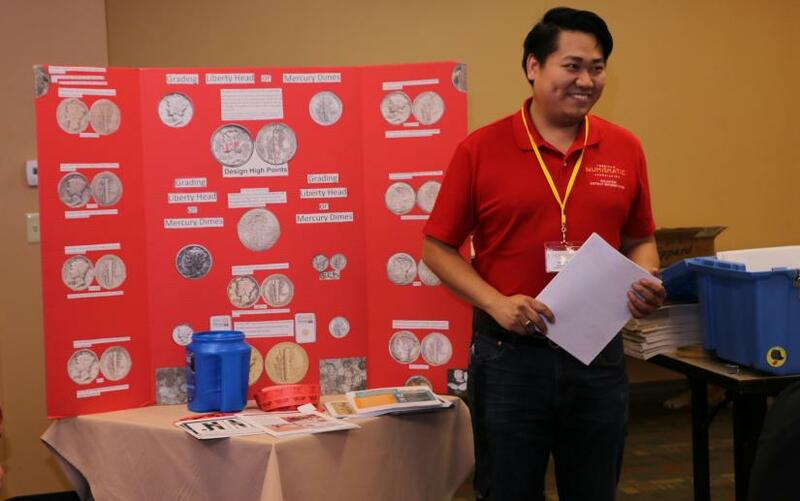 On Saturday November 10th, 2018 our activities included the John Kittredge Young Numismatist Program sponsored by NENA and the Kittredge Foundation, the Club Table where visitors could purchase this year’s medals and pay their dues, the Exhibits Gallery, and the Annual Meeting that included the awards and election of officers. 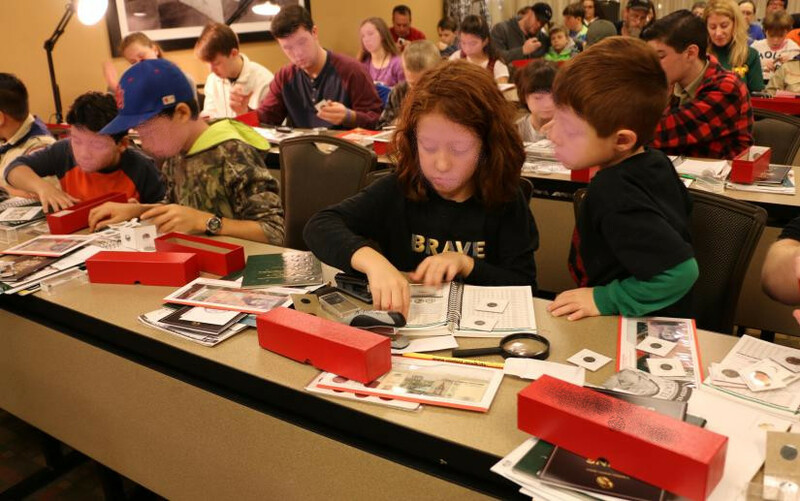 The Young Numismatist program was held from 10:30 AM to 12:30 PM and was headed by Richard J. Hand Jr. with the assistance of Chris Sobiesiak, Richard Ziegler, Donat Charron and Jen Reynolds. This year’s program was very well attended with approximately sixty Y.N’s including a group of Boy Scouts from Troop 27, Woodstock, CT. The scouts and troop leaders were sponsored by the Mansfield Numismatic Society, whose generous donation made it possible for the scouts to attend the YN program. This year’s exhibits were outstanding; we had ten exhibits with a total of seventeen cases. 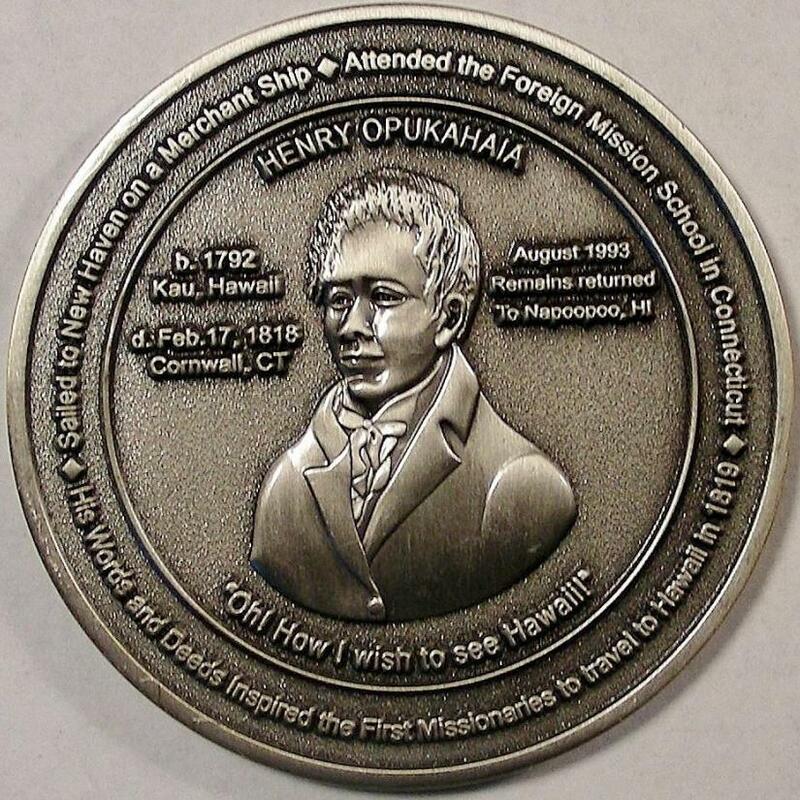 There were two Non-Competitive exhibits including a two case exhibit that highlighted NENA’s history and a two case exhibit on Henry Opukaha’ia. We also had for junior exhibitors from the Nashua South High School Coin Club. The junior exhibits were all one case and included an exhibit on “Iceland Kroner” 1st place; “New England 50 States Quarters” 2nd, place; “Pennies of the World”3rd, place and “2009 Lincoln Cents” runner-up. First, Second and Third place junior exhibitors received a NENA Plaque with a NENA medal affixed to it. The junior exhibitors all received an exhibitor’s medal, a one year NENA membership and were given numismatic prizes courtesy of their club advisors. Donat Charron won the Eliott Goldberg Best of Show Award for his exhibit on “Westward Journey” and received an acrylic plaque and a 1/10 oz. Gold Eagle; Franz Hoerzer took Second Place with his exhibit on “Specimen Bank Notes” and received an engraved plaque and a one ounce Silver Eagle; Robert Fritsch took third place with his exhibit on “Going to Hell” (Michigan that is!) and received an engraved plaque. We also had a nice exhibit on “Abraham Lincoln”. Donat Charron received the People’s Choice Award for his exhibit on “Westward Journey” and was given an engraved plaque and a one ounce Silver Eagle. 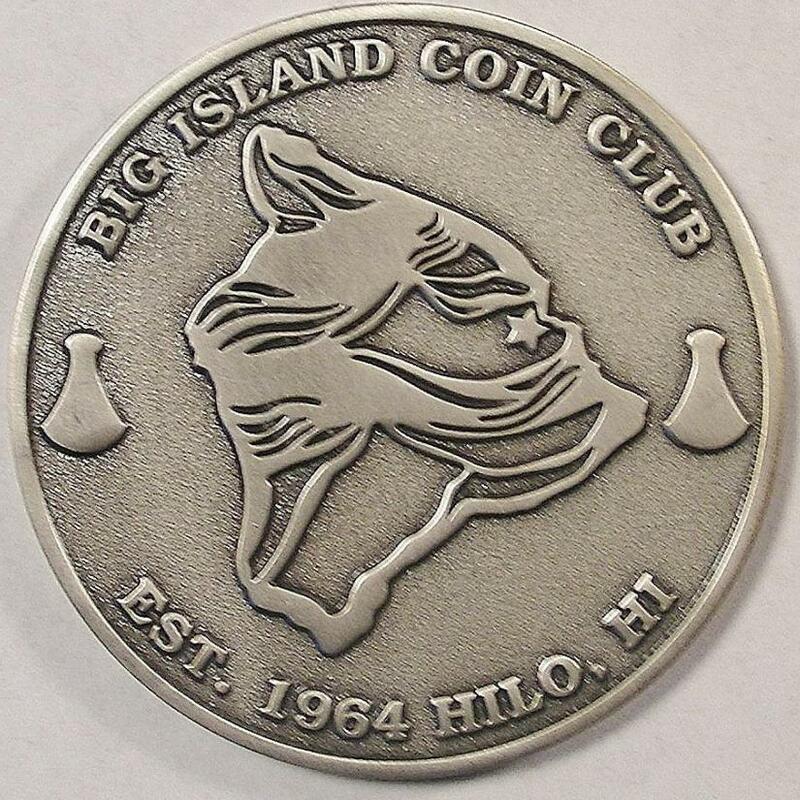 All exhibitors received a once silver coin for placing an exhibit. The committee gratefully appreciated the time taken by the three Judges to evaluate the exhibits and each judge was given a medal for their efforts. The Annual Meeting took place from 3:00- 4:00 P.M. and was open to members and non-members alike. 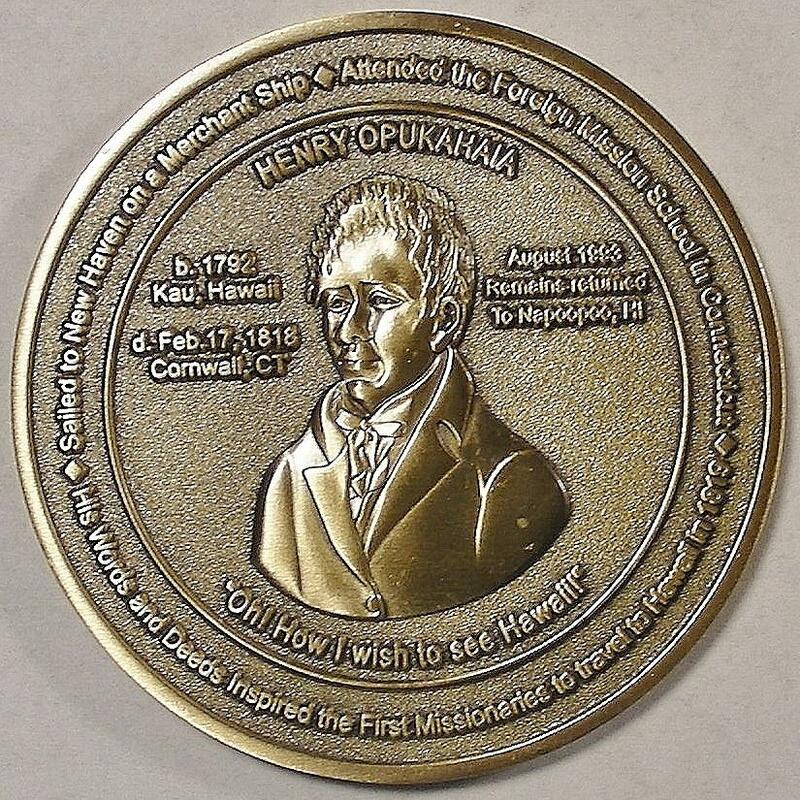 The meeting started with a brief talk by Bob Hewey on “Henry Opukaha’ia”. This was followed with the Annual Business Meeting that included the Awards and the election of officers. 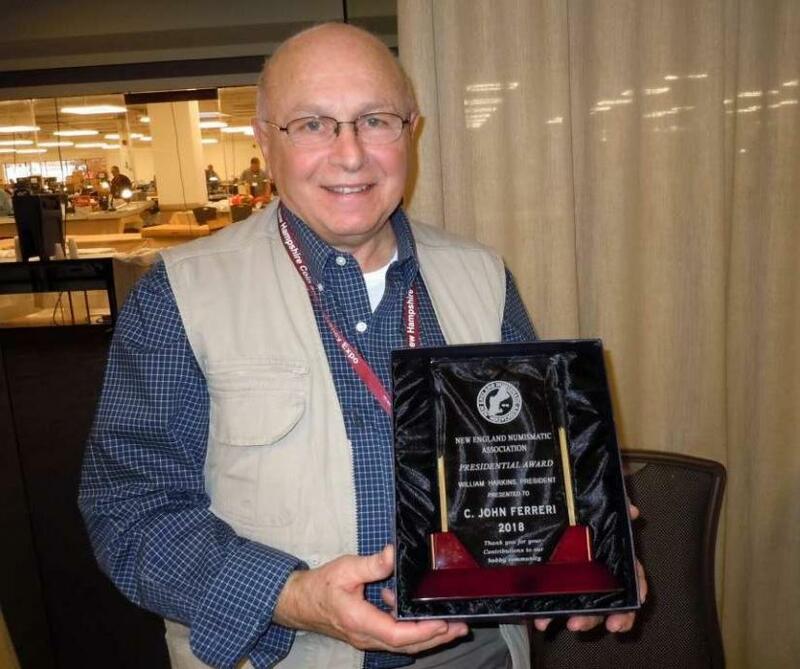 A Presidential Award was presented to C. John Ferreri for his dedication to this organization and the outstanding work he has been doing including his efforts in obtaining articles and advertising for the newsletter. We then presented the exhibit awards and thanked everyone for their time and efforts with the exhibits. The Elections were held resulting in the following changes to our Board: Yale Lansky was elected to the position of Vice President, taking over the seat that was previously held by Richard Ziegler. Bim Finemore was elected to the position of State Director for Maine, taking over the seat that was previously held by Peter Jordan. 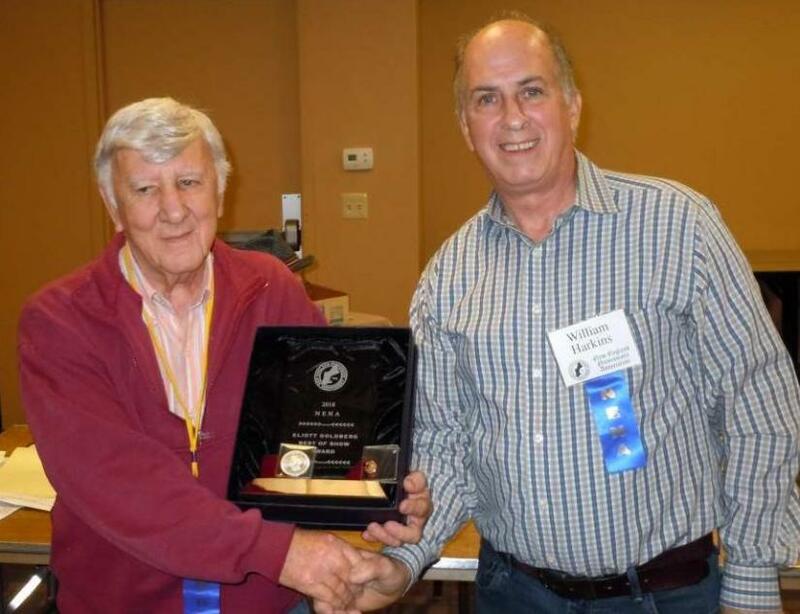 We express our thanks to Mr. Ziegler and Mr. Jordan for their service to this association. We then held the drawings for the door prizes that included a 2018 Silver Eagle and a 2018 NENA medals set. We would like to thank all those that helped make this a successful event including our board, committees, volunteers and members; Ernie Botte and EBW Promotions for providing the exhibit space and meeting room for our event; The Kittredge Foundation and Mansfield Numismatic Society for their generous financial support of our YN Program; The dealers for their generous donations of coins, medals, tokens and supplies for the Y.N’s. 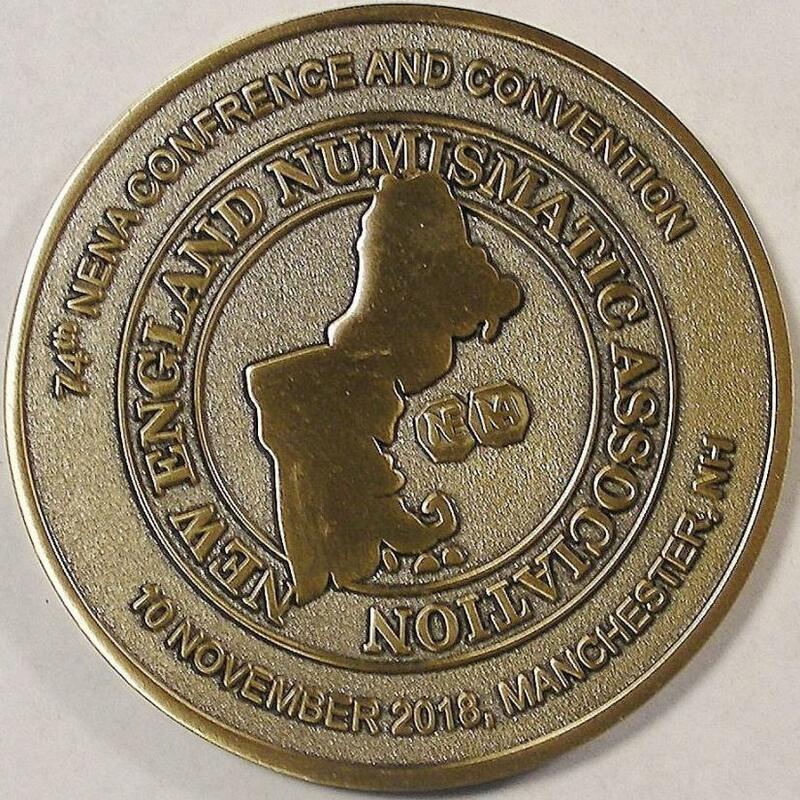 To encourage and develop the appreciation and understanding of numismatics in the New England states and elsewhere; To encourage and enforce, when necessary, the highest ethical standards of behavior of our members; To conduct courses of study in the art and science of numismatics; To edit and publish various forms of numismatic literature; To give and sponsor lectures, exhibitions, displays and functions pertaining to the appreciation and understanding of the art and science of numismatics.